How to make your videos the bestest? How do you make more? 1. Set up and build your YouTube channel. Your channel is your personal presence on YouTube. Each YouTube account has one channel attached to it. A YouTube account is the same as a Google account, and creating a YouTube account will grant you access to other Google products, such as Gmail and Drive. Your user name can also work for or against you. If it’s short, easy to remember, and original, people will be more apt to remember you. However if you are using an existing account, just stay with it. It doesn't help if you keep changing accounts. 2. Add content. Try to upload content that is high quality, and isn't super long. (This option can vary depending on what type of content you decide to upload) Also try to upload regularly and stay consistent with your uploads. 3. Gain an audience. Building an audience is key to increasing your monetization. You need people to watch your ads in order to make any money off of them. There is no one secret to getting more subscribers, just make the best content that you can and they will come to you. 4. Monetize your videos. In order to start earning money on your videos, you’ll need to enable monetization. This means you are allowing YouTube to place ads in your video. This also means that you acknowledge that there is no copyrighted material in your video. 5. Setup Google AdSense. You can setup Google AdSense for free at the AdSense website. Click the Sign Up Now button to begin creating your account. You must be 18 years or older to create your own account. If you are younger than that, you will need an adult to help you. 6. Check your analytics. Once you have some videos online, monetized, and being viewed, you can check out the analytics on them to see how they are performing. Click the Analytics option in your Channel menu. Here you can view estimated earnings, ad performance, video views, demographics and more. Use these tools to see how your content is resonating with your audience. You can change your content or your marketing if you’re finding that you aren't attracting the users that you want to. 7. Market your videos elsewhere. Don't put your videos just on YouTube! Start a blog, make a website or post them on other video or social media sites. The more views it gets, the better. By sharing the link or embedding the video on the internet, you are increasing the chance of it getting noticed and of you making money. 8. Become a YouTube partner. YouTube Partners are YouTube members who have monetized videos with a large number of viewers. Partners gain access to more content creation tools, and can win prizes for the number of viewers they have. Partners also get access to much more community support and tips. Straight in there with the killer question, you shrewd lot. Well, the answer is a bit of a mixed bag really, if we’re honest. While you might be lucky and find a video clip of yours goes viral and earns you $160,000 (like the guy who uploaded a clip of one of his son’s biting the other one’s finger), this is very unlikely. That said, if you have got something funny, by all means give it a shot. You might remember the tale of 17 year old Fred Pye – he hit the news recently for earning $38,000 a year by making walk-throughs for Grand Theft Auto. But as we said, it isn’t all like this. Livie Rose, a beauty blogger from Brighton says her pay fluctuates from thousands one month to $80 the next, and some people only report a few pounds here and there. As a benchmark you can expect to make around $1.50/1000 views. This means that 1million views = $1500. However, keep in mind that a lot of the channels (such as Epic Mealtime) sign advertising contracts with certain companies or even promote their own merchandise, like T-shirts, which can earn them even more on top of their views alone. It’s hard to put a total on this but the possibilities are endless depending on what your videos are about. Depending on what you’re planning on filming you’ll need to get your setup sorted from the beginning. There’s no point having good content if you’re filming it on your iPhone. A decent setup goes a long way towards showing that you’re serious and having people respect your videos. As we said before, the way this works is you get popular then you get paid. You can’t sign up to monetize videos no one has watched yet. Choose your genre: One of the most popular genres on YouTube is gaming walk-throughs but it’s a pretty competitive. Take some time to think about what you can do well and whether you think you can make a success of it. Other genres that work well are: product reviews, comedy, how to’s, sports and films. Choose a good username: Sounds trivial, trust us, it isn't. You need to make your username memorable and steer clear from numbers and random characters. Yes, that means Xxx_ponysrock92_xxX is a no go. Sorry. 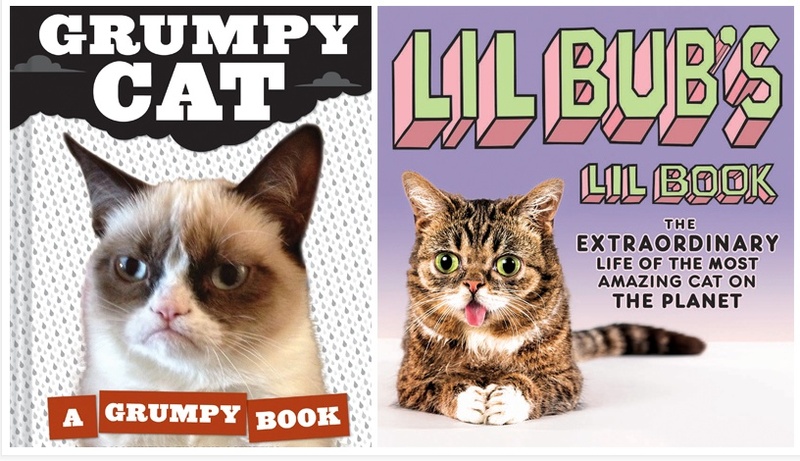 Catchy relevant titles: Make your title both catchy and relevant. That way people will remember it, and more people will stumble across it if they’re searching for something similar. Upload regularly: You won’t build an audience if you stop posting! Remember, the longer you keep that audience locked in, the more monies you get. Be original: There’s nothing wrong with tried and tested formats such as reviews or cat videos, but you have to make sure you stand out from the crowd. Go forth and be different kids! Show your enthusiasm: You need to be creating videos about something you love. Having a passion for your videos will show! If you don’t love what you’re doing you’ll soon get bored and the videos will start to show that. The passion comes first and the money comes second. Always make sure to follow the rules too; no inappropriate content, copyright or spamming. Play nice and you’ll be fine. If you've built up a pretty sizable base and have a dedicated audience, there is one other avenue to explore aside from Google AdSense and YouTube itself. Patreon is a great little web tool that allows your fans to sign up and donate money directly each time you post something new. The key to this is building up an audience that appreciates you – if they like what you do the chances are they can be persuaded to part $1 or more each time you upload. Also, as mentioned above, you can approach companies to talk about advertising or at the very least free sample for you to review/talk about. You might even want to branch out into creating your own merchandise once/if you make a name for yourself. Some of the big shots on here are earning about three thousand dollars every time they post a new video. Yes you read that right. Use YouTube to get traffic to your website and blog. If you've got a website or blog which brings in income, you need traffic. Many websites were hard-hit by Google’s Panda, Penguin and Hummingbird updates. If this happened to you, you’re hurting. You can use YouTube to not only regain traffic, but also increase it. Get started using the Creator Playbook. Once you’re set up, consider re purposing some older content into videos, as well as creating new videos. Make sure that you link to your own website in the first line of your video descriptions, so you can funnel your YouTube traffic to where you want it to go. Sell others’ products as an affiliate marketer. “Affiliate marketing” means selling products in exchange for a commission. Hundreds of thousands of companies offer attractive deals to affiliate marketers who promote their products, including huge companies, like Amazon and eBay, as well as smaller companies. Additionally, there are many affiliate networks you can join. These networks include ClickBank, Commission Junction, and ShareASale.com. To make money from YouTube as an affiliate marketer, review your affiliate products on video, or create “how to use this product” tutorials. Don’t forget to link to your products in your YouTube descriptions – make sure you’re using your affiliate link, or you won’t get credit for sales. Love telling stories? YouTube lets you create your own Web TV shows. You’re limited only by your imagination and your budget. You can create a comedy series, a drama series, or your own talk show. Be aware that YouTube limits your show’s length to 15 minutes. To upload longer videos, you’ll need to increase your limit. If you’re a frustrated TV or screen writer, get a few friends together, and record your own TV shows. You never know. If you get lots of views, you may develop a new career. YouTube stars can make a lot of money. BlueXephos for example, has almost a billion channel views. At $7 per thousand video views, the income soon mounts up. If you've got quirky ideas, or are passionate about your interests, develop your YouTube channel. You never know, you may be the next YouTube star. Monetize your videos with the YouTube Partner Program. After you've created several videos, it’s time to join the YouTube Partner Program. All you need to do is enable your channel for monetization, and you’ll receive your share of the income from advertising on YouTube. 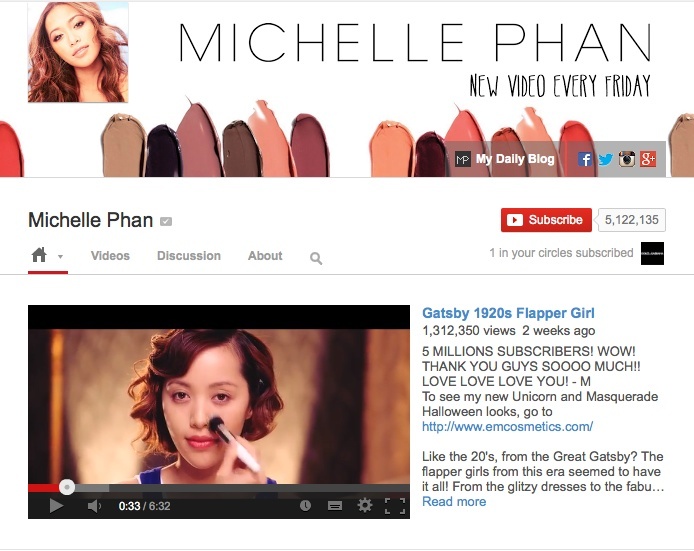 Just as the YouTube stars do, you’ll get paid for each thousand views on your videos. YouTube is an amazing resource for market research – you can soon discover whether your brilliant, innovative idea is likely to be profitable. For example, if you've got an idea for a product, but need funding, create some videos before you create a Kickstarter.com campaign. The views and comments on your videos will tell you whether your idea is viable in its present form. The YouTube audience can even help you to make it viable, so that your efforts to get funding are successful. Become an expert on meta data: use keywords to get an audience. "YouTube is the world’s second-largest search engine, and it uses metadata – your video’s title, tags and description – to index your video correctly. To maximize your presence in search, promotion, suggested videos and ad-serving, make sure your metadata is well optimized." Build your brand using YouTube. So keep your video camera handy. If you see something cute, video it, and upload the video. (Don’t forget the meta data.) You never know who or what will be the next video sensation. Create that sensation, and you’ll make money. Put time and effort into editing your videos. Some people may leave mean comments to bring you down. Don't let them discourage you. Copyrighted content can get your videos taken down, and possibly banned. Partnerships with YouTube for most people do not earn very much. Unless you have a huge success, don't plan on a job free life. If any of your videos contain copyrighted content (i.e - music that you didn't make, content from movies, etc) you have less of a chance of getting into the partner program. 1. How to Earn Money on YouTube December 18, 2014. 2. Make money from YouTube videos December 18, 2014. 3. How do I make money on YouTube? December 18, 2014. 4. Determine your channel's earning potential December 18, 2014. 5. Audience Before Advertising - ft. The Young Turks December 18, 2014. 6. 11 Creative Ways To Make Money On YouTube December 18, 2014.